Proper nutrition is one of the most important factors often overlooked when starting an exercise program. If your goal is weight loss, you must eat fewer calories than you burn. Almost everyone has been on some type of diet at some point in their life. Fad diets will allow an individual to lose weight by restricting calorie intake. However, less than 5% of these individuals are able to keep the weight off. Fad diets simply don't work, they are usually inadequate in nutrients, promote short-term weight loss, and fail to change eating habits for life. Learn how to make the right choices whether you are eating at home or at your favorite restaurant with our Nutritional Counseling! Carol Walsh RD, graduated form the University of Missouri-Columbia with a B.S. degree in Medical Dietetics. She is a member of ADA and SLDA. Carol worked as a Clinical Dietitian for 5 years at St. Mary's Health Center. 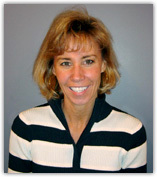 She has been at Des Peres Hospital for the past 17 years where she currently works as a consultant to the physicians. In Carol's 22 years as a Registered Dietitian, she has had a variety of experiences which include outpatient counseling, home health, renal dialysis and nutritional support. She has taught classes for both physicians and patients. Some of these classes include weight management with behavior modifications, diabetic education, cardiac rehab, as well as pre-pregnancy and post natal classes. Carol has also given lectures and seminars on eating disorders and specific nutrient needs. 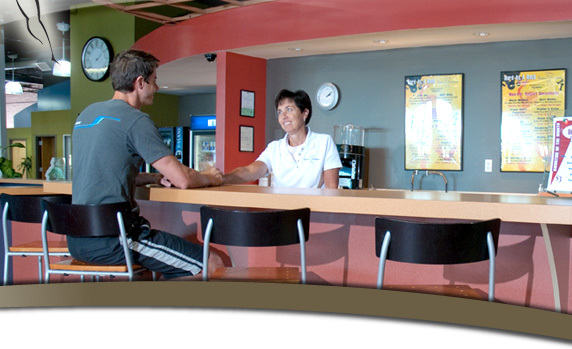 Weekly individual meetings with our fitness professionals. Individualized meal plans and nutritional education. Personalized cardiovascular and resistance training. Education on supplementation and how it can help you reach your goals.